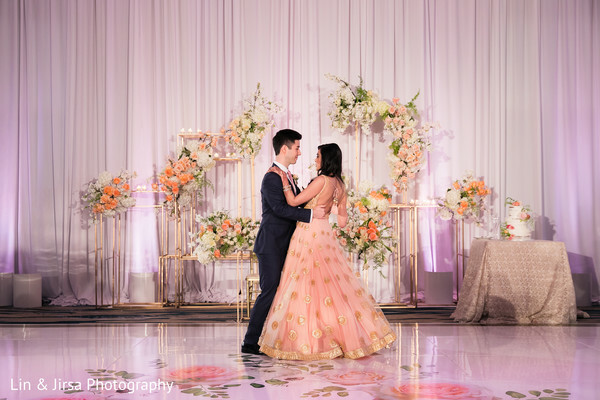 Today’s last featured post comes from out of Pasea Hotel and Spa where premier designer Three Petals rolled up their sleeves and transformed the spacious quarters for the grand finale. 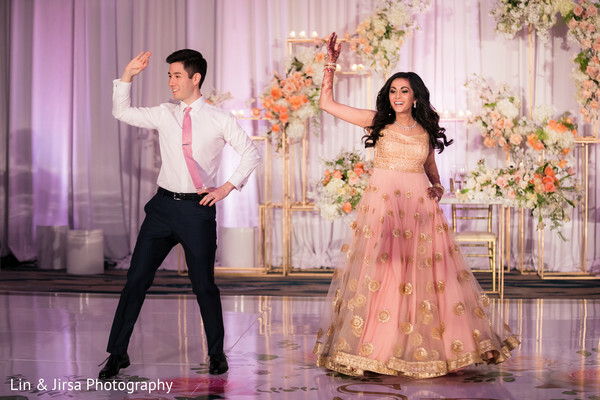 After a spending Indian wedding with a baraat led by Enchanted Carriages, it was time for the party to get really started! 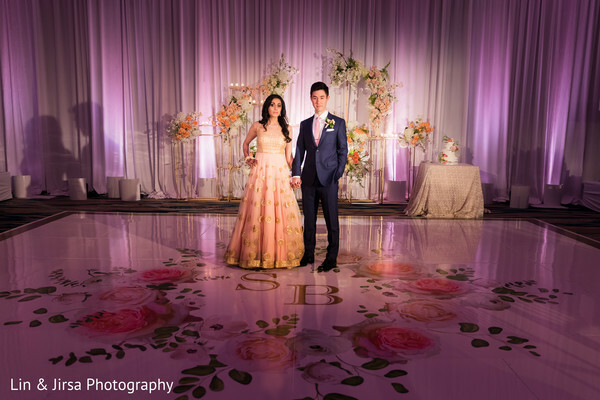 The bride herself was a walking masterpiece in a custom design gown that just spoke volumes of her classy demeanor. 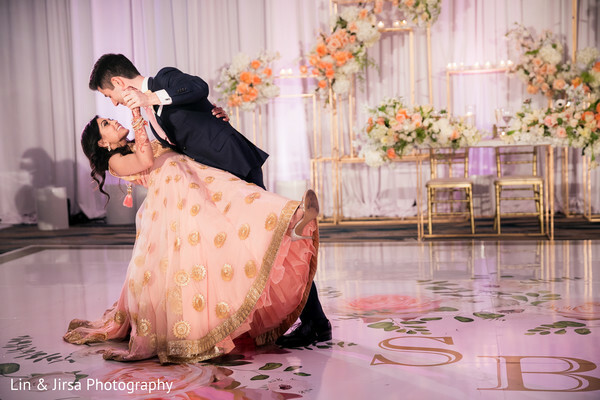 Design Visage ensured a pretty pin was not out of place on the bride’s stunning outfit. The venue was decorated with an eclectic design in mind. 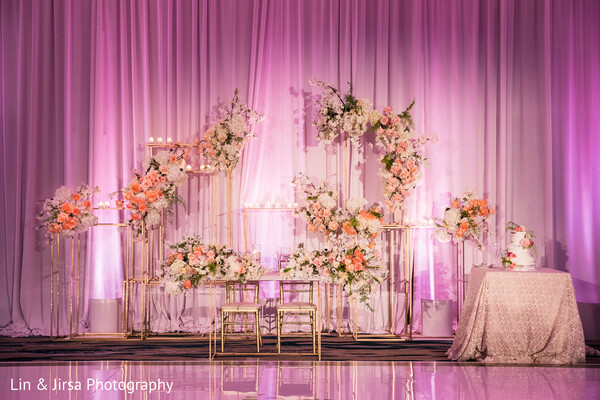 Monographed glassware, crystal candle holders, and multi-tiered centerpieces took center stage along the table runners. 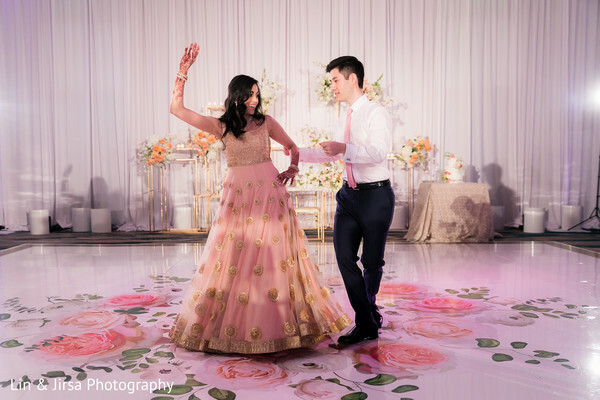 3D Sounds were the master DJ on the dance floor and churned out all the latest hits to the gyrating crowd. The entertainment didn’t stop there! 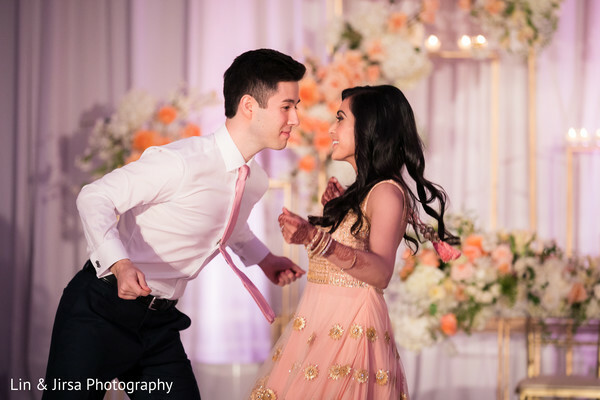 Ronobir Lahiri Music gave on quite the show to surprise guests. 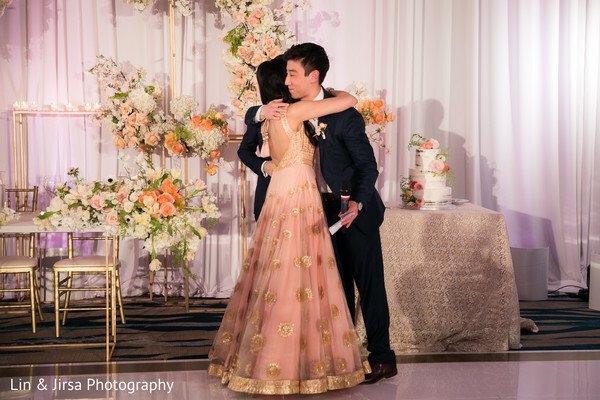 Blue Lotus Insights strategized a fairytale wedding for Shruti as apparent in our gallery captured by Lin & Jirsa Photography.